Music Lessons with the most experience and qualified music teachers in the San Fernando Valley, Burbank, Los Angeles and Online Skype. Los Angeles Music Teachers offer in studio, in your home and online music lessons from ages 5 to adult students. While you're researching the best school for you, consider the benefits of becoming a Los Angeles Music Teachers student and find out why we are your number one choice for music lessons! ​Music Lessons with the most experience and qualified music teachers in the San Fernando Valley, Burbank, Los Angeles and Online Skype. Los Angeles Music Teachers offer in studio, in your home and online music lessons from ages 5 to adult students. ​1. Lessons for Guitar, Bass, Voice, Violin, Cello, Drums, Piano, Ukulele, Saxophone, Clarinet, Flute-- in one location. This saves our students time and money, as one family can take multiple instruments on the same day. Other studios offer multiple instruments, but we are the only one to offer improvisation, musicianship, sight singing, dictation, and note reading. Our teachers have at least Master's degrees and are accomplished performers in their instruments with more than 15 years teaching experience. Lessons are available 7 days a week from 9:00am-9:00pm! Visit our testimonial page to see what our students are saying. Every year, aspiring music teachers start their own studio, and a year or two later it’s closed. 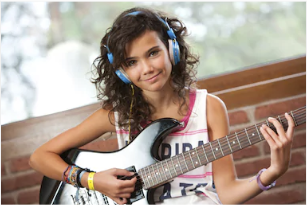 We have a proven track record of offering quality guitar, voice, singing, piano and drum lessons in Los Angeles, year round. Our full time mission is teaching music lessons, trusted by hundreds of families for over 15 years. 5. Our staff is available to help out with any issues you may have. We strive to bring you the best customer service possible. Excellent customer service is what sets us apart! 6. Conveniently located just off the 5 Freeway in Burbank! Due to its central location, our school is convenient and draws students from all over the San Fernando Valley. We are easy to find, right off the 5 Freeway. If you are not happy with your lessons, we will work with you to make sure you have the right teacher and environment for your student. We are a 'full service' music school. This allows us to offer lessons as early as 9 a.m. and we see many students between the hours of 11 a.m.-2 p.m. If you are a homeschool parent, retiree, college student or working professional who has a flexible schedule, take advantage of our early morning and lunch time lesson spots. Offering quality saxophone, clarinet, flute, piano, guitar, voice, bass, drums, violin, and cello lessons in Burbank CA. Serving Los Angeles, Burbank and the San Fernando Valley.